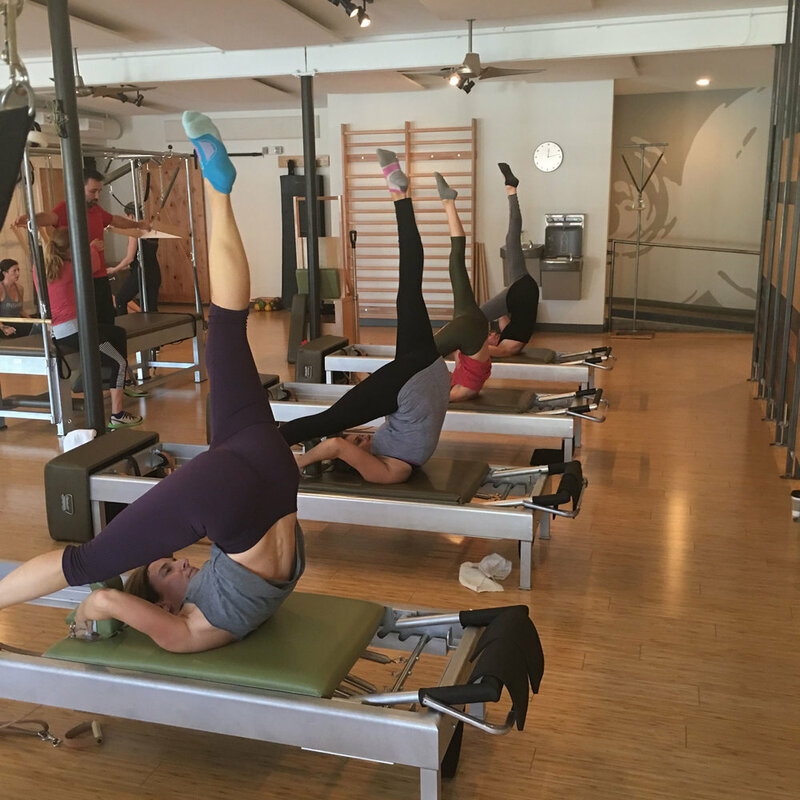 In our group mat and equipment classes, we deliver Classical Pilates workouts that are accessible to all levels. Each class has a particular focus, but they are all of the highest quality, fairly priced, and safely challenging. We keep our classes relatively small to ensure you will receive individual corrections and hands-on feedback from your instructor. 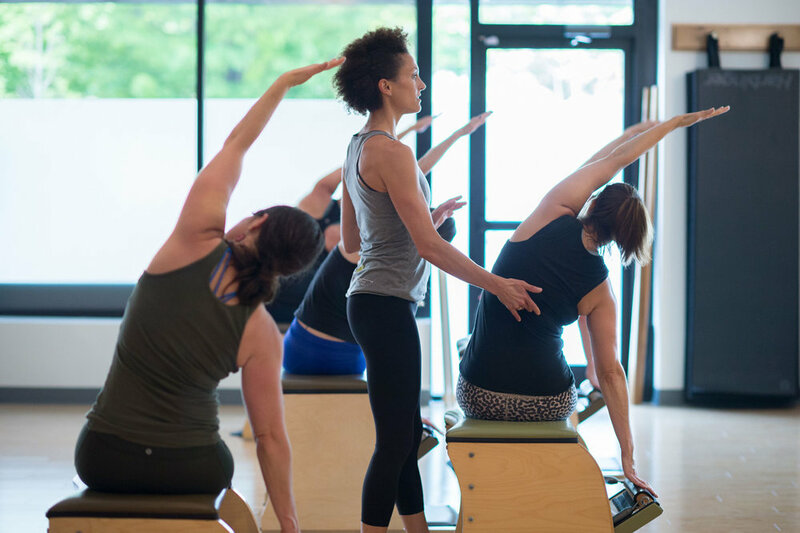 We intentionally do not label our classes as beginner or advanced etc, because Pilates – when done properly – is challenging and rewarding at all levels, for all of us! We know you will take what you gain in class and apply it to your life outside of the studio, affecting how you carry yourself, how you feel, and even how you think. 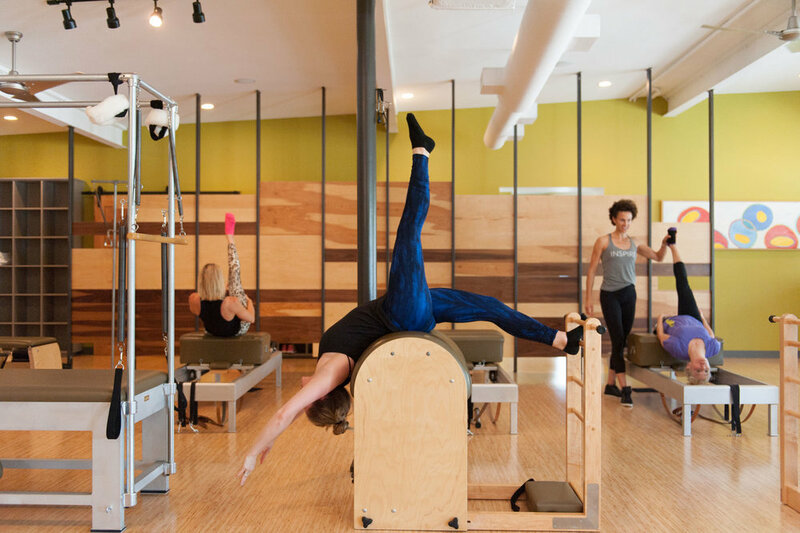 For your safety, some prior Pilates equipment experience is required before enrolling into an equipment class. 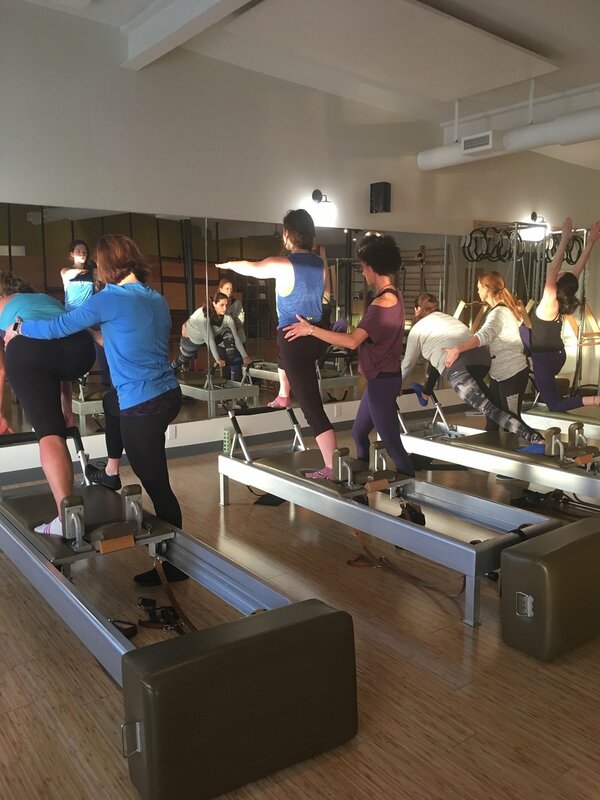 If you’re new to Pilates and want to be trained for group classes quickly, let us know! 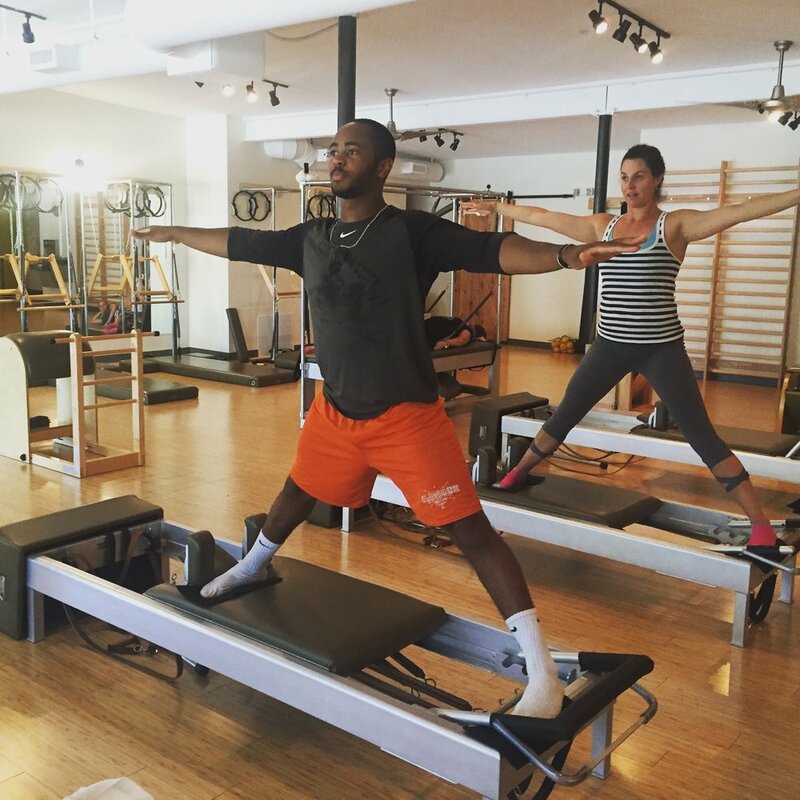 We will get you up to speed in a few private sessions, ready for all the Pilates equipment fun and adventure!